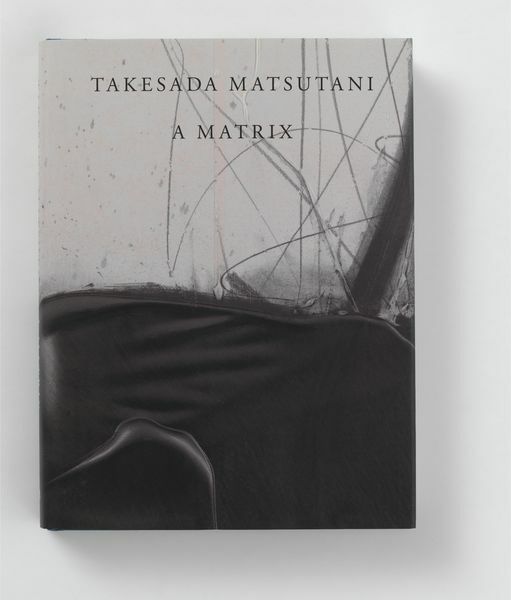 Hauser & Wirth is proud to present ‘Takesada Matsutani. 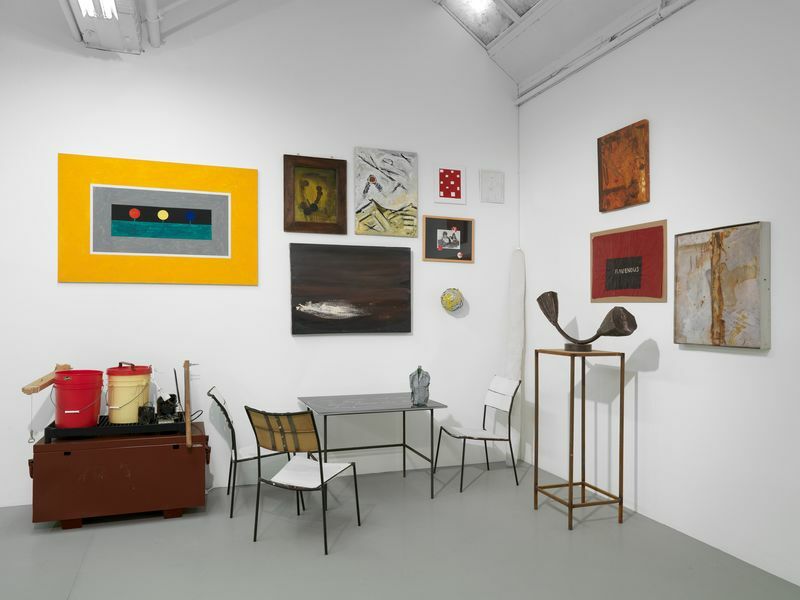 A Matrix’, curated by Midori Nishizawa and organised with Olivier Renaud-Clement. This will be the gallery’s first solo show with Osaka-born, Paris-based artist, Takesada Matsutani and also marks the first time his works will be shown in the UK. 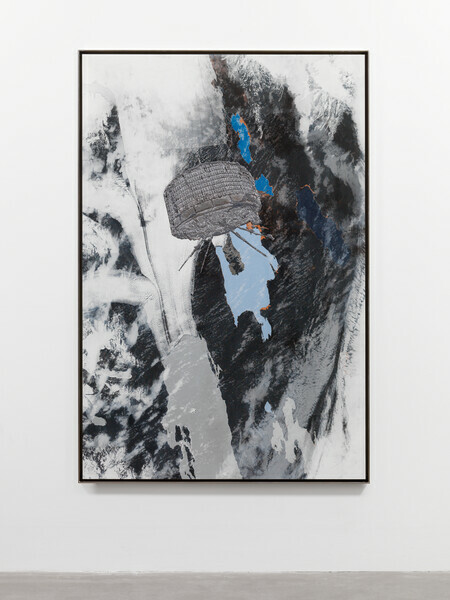 ‘A Matrix’ features never before seen paintings from Matsutani’s early career, as well as recent organic abstractions in vinyl glue and graphite. In addition, the exhibition will include a performance of Matsutani’s ‘Stream, London, Hauser & Wirth’. From the early sixties to the early seventies, Matsutani was a key member of the ‘second generation’ of the Gutai Art Association (1954 – 1972), Japan’s innovative and influential art collective of the post-war era. One of the most important Japanese artists working today, Matsutani’s paintings and performances from throughout his practice demonstrate the ethos of Gutai, translated into an artistic language that is uniquely his own. In the 1960s, Matsutani began experimenting with vinyl glue, a material that first entered into mass production in Japan following World War II. With paintings such as ‘Work-62’, on view to the public for the first time in ‘A Matrix’, Matsutani deposited the glue onto his canvases and allowed it to run down the surface. Matsutani recalls ‘The glue began to drip and as it dried, stalactites formed, which looked like the udders of a cow’. 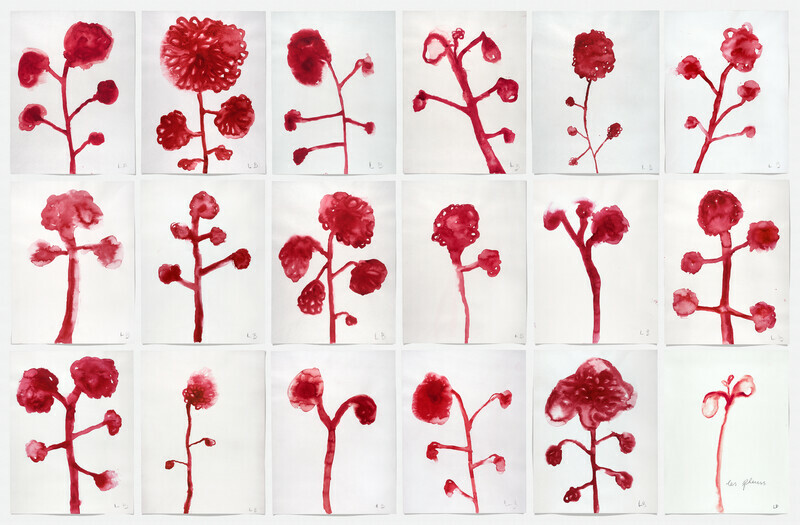 Inspired by the shapes of blood samples he had observed, Matsutani developed this technique further, using hairdryers, fans and his own breath to create bulbous forms reminiscent of the curves of the human body. Paintings such as ‘Work-63’ exemplify these early experimentations with vinyl glue, a material that continues to fascinate the artist to this day. 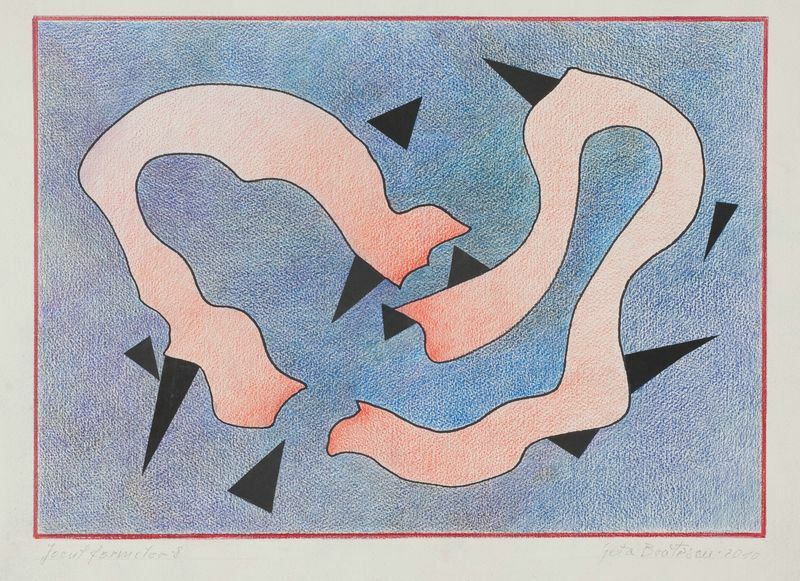 In 1966, Matsutani moved to Paris and began working at William Hayter’s renowned print-making studio, Atelier 17. When the Gutai Art Association disbanded in 1972, Matsutani was able to transition from the artistic style of his Gutai period into a radical yet consistent new body of work, informed in part by his experience at Atelier 17, in which he expressed a greater depth of understanding of pictorial space and composition. Matsutani’s later paintings bring together the artist’s signature media, vinyl glue, with graphite. 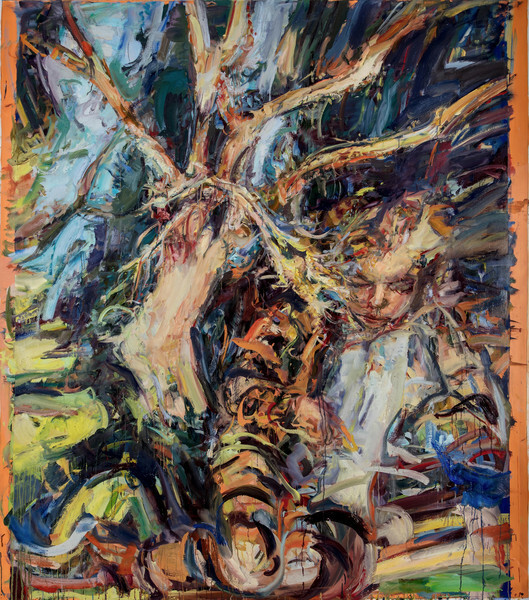 In a marked difference from the raw rendering of his early works, Matsutani carefully controls the glue as it moves across his canvases, making or deflating pockets of air and creating new ridges, wrinkles and crevices as the adhesive hardens. 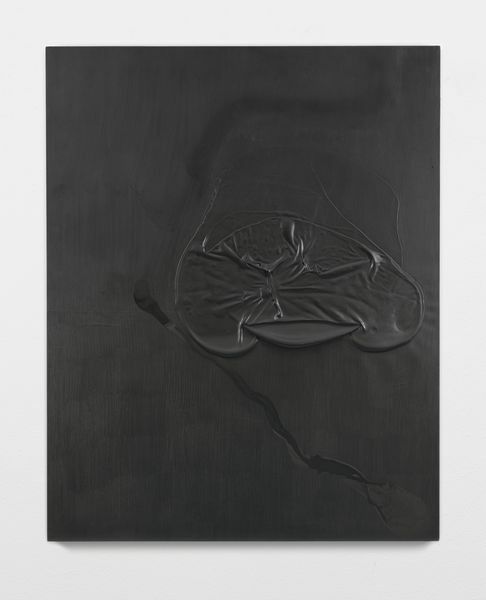 Matsutani then covers the surface in methodical, almost meditative, graphite lines. The shapes created resemble the unbridled energy of a crashing wave or the inside of a seed preparing to germinate, whilst the graphite reflects light, teasing out hints of texture, depth and volume. 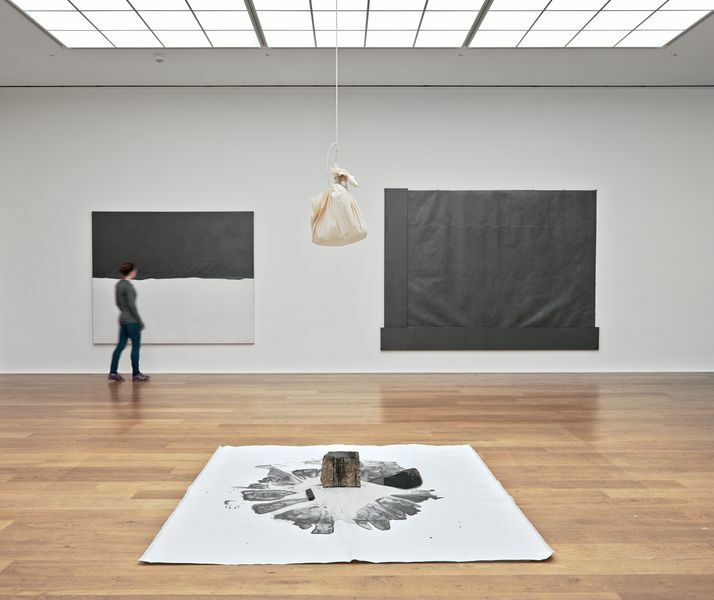 ‘Stream-10, 1984 – 2013, London’, one of Matsutani’s largest works, is a 10-metre sheet of paper which the artist covers in a blanket of graphite, leaving just one thin white line coursing through the middle of the paper. Matsutani then completes the work by throwing turpentine over the edge of the dense surface, quickly dissolving the graphite in a tremendous surge of energy and an act of cathartic liberation. During the exhibition’s opening, Matsutani will perform ‘Stream, London, Hauser & Wirth’. In the centre of the gallery, a bag filled with water is suspended above a white piece of paper held down by a large stone. 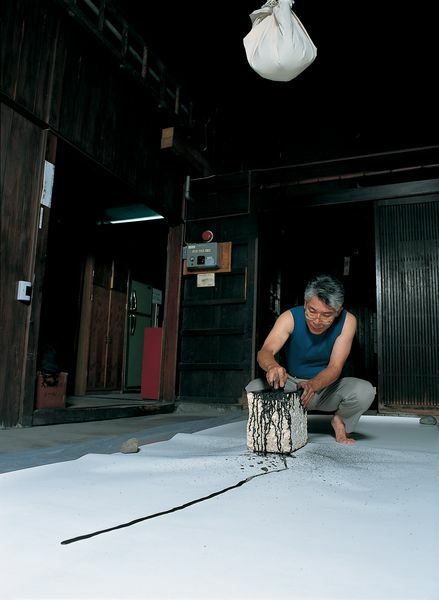 Matsutani will pierce small holes in the bag, allowing a slow and steady trickle of water to drip down on to the stone as he moves a traditional Sumi stick of rich black ink – used in traditional Chinese calligraphy – repetitively across the stone’s surface. As the water drips over the ink-stained rock, Matsutani’s constant back and forth motion pushes the ink in a spray on to the paper. 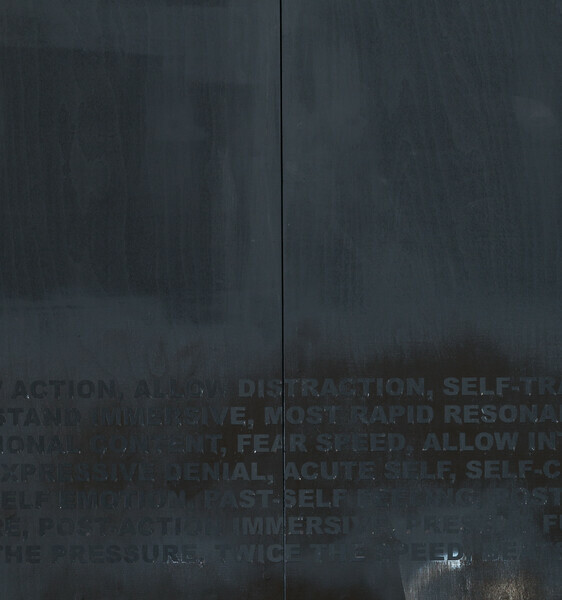 The stone and paper will remain throughout the exhibition as a document of the performance. ‘Takesada Matsutani. A Matrix’, will be published on occasion of the exhibition at Hauser & Wirth. Featuring rare archival photographs, an interview with the artist by Mizusawa Tsutomu and Inaniwa Sawako, curators of The Museum of Modern Art, Kamakura and Hayama, and texts by Kate van Houten, Midori Nishizawa and Ming Tiampo, co-curator of ‘Gutai: Splendid Playground’ Guggenheim Museum, New York, the book will be available in June 2013. In addition, Hauser & Wirth will host an artist talk with Matsutani in conversation with Tiampo on Saturday 18 May. For further information on the publication and the artist talk, please click here.